Funeral services Mr. Larry Franklin Brantley, age 77, will be held at 11:00 A.M. Wednesday, January 23, 2019 at Ivey Baptist Church with burial to follow in the church cemetery. Rev. Donnie Baker and Rev. Burton Dixon will officiate. Mr. Brantley was born March 12, 1941 in Johnson County; he was preceded in death by his parents, the late Willie Cleo Brantley and Vera Mae Webb, brothers, R.T. Brantley, and Willie Brantley and four sisters, Doris Tanner, Pauline Williams, Dorothy Brasher and Myrtice Fortner. He was a member and former deacon of Ivey Baptist Church and was retired from the construction industry. Mr. Brantley passed away Sunday, January 20, 2019 at his home. 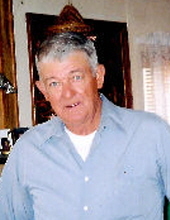 He is survived by his wife, Faye Brantley of Wrightsville, sons, Joey Brantley of Tennille, Frank Brantley of Harrison and Wendell Brantley of Wrightsville, two sisters, Hazel Flanders of Dublin and Annette Jackson of Astor, FL, eight grandchildren, Brittany Brantley, Nathan Brantley, Austin Brantley, Dustin Brantley, Wyatt Brantley, Wesley Meeks, Candace Lybrand and Jennifer McGraw and four great grandchildren. The family will receive friends from 6:00 P.M. until 8:00 P.M., Tuesday, January 22, 2019 at Ivey Baptist Church. Pallbearers will be Austin Brantley, Dustin Brantley, Wyatt Brantley, Eddie Brantley, Andy Brantley and Ken Tanner. Honorary pallbearers will be Tony Tanner, Pat Flanders, Danny Joe Flanders and Joe Williams. To send flowers or a remembrance gift to the family of Larry Brantley, please visit our Tribute Store. "Email Address" would like to share the life celebration of Larry Brantley. Click on the "link" to go to share a favorite memory or leave a condolence message for the family.